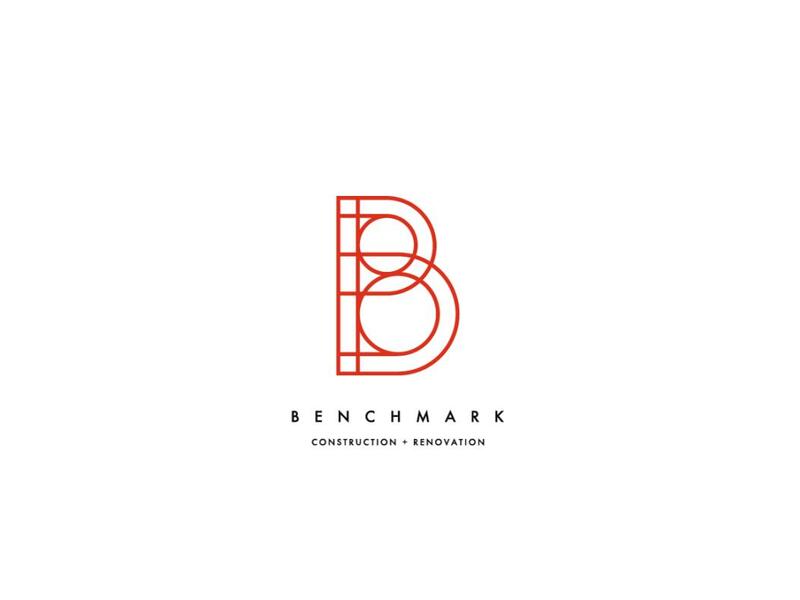 Benchmark Detroit is a modern, innovative commercial and residential construction and renovation company. They’re best known for the Lofts on 9 condominiums, located in Ferndale, Michigan. They hired the midnight oil group for a full brand identity package, including logo, website, business cards and more. 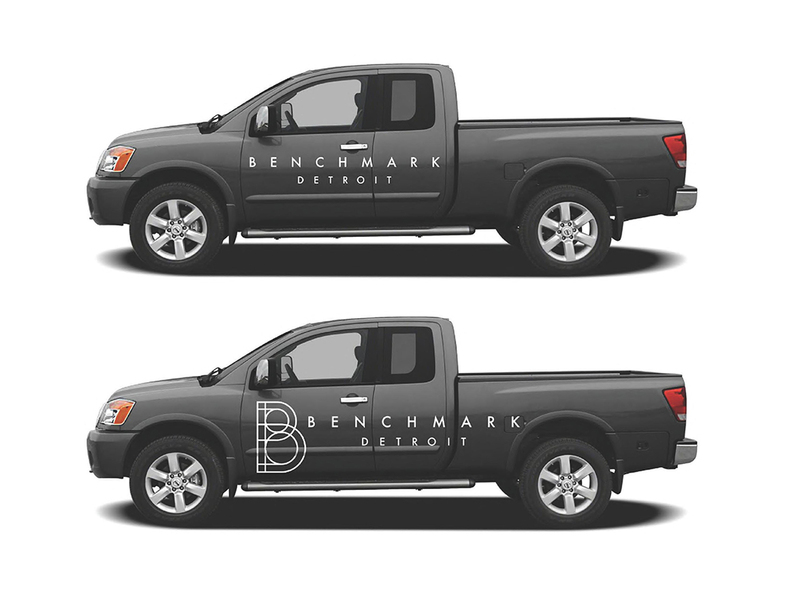 Benchmark Detroit is a modern, innovative commercial and residential construction and renovation company, and the owners wanted to ensure everything about the visual brand was cutting edge and on trend. We wanted to think outside of the box when it came to designing the logo, and to avoid cliche elements like house, rooftop or construction imagery. Instead we opted to incorporate a subtle blueprint element. We chose strong colors, including black, white and a pop of red. The result is a memorable logo that is both modern and timeless. We worked to create a simple, user-friendly website that showcased the incredible design and renovation projects Benchmark Detroit has completed. Dynamic photography serves as the main focus of the site, which serves to acquaint visitors with the company’s design aesthetic. 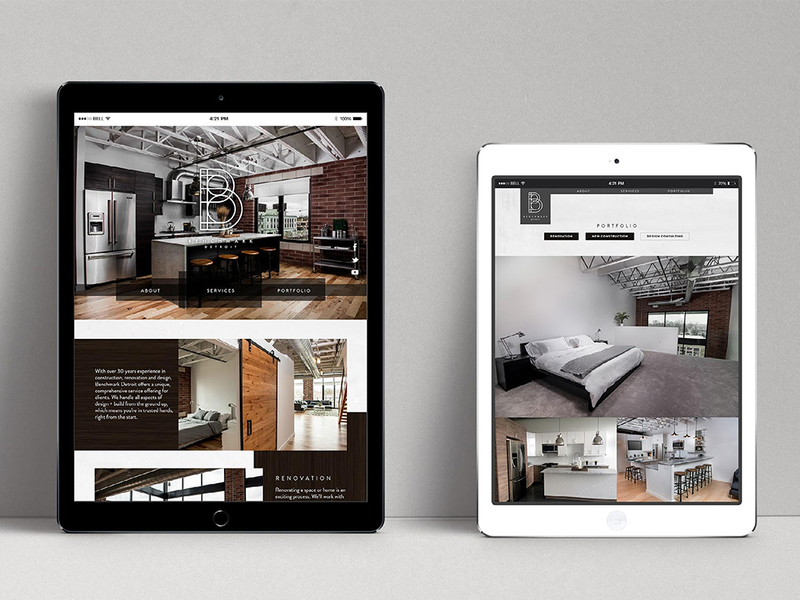 We tied in subtle design elements that speak to the design and renovation business, like the dark wood grain texture that highlights website content. The site also successfully highlights the various services the company provides, as well as an organized portfolio that can be easily updated and tagged for searching. 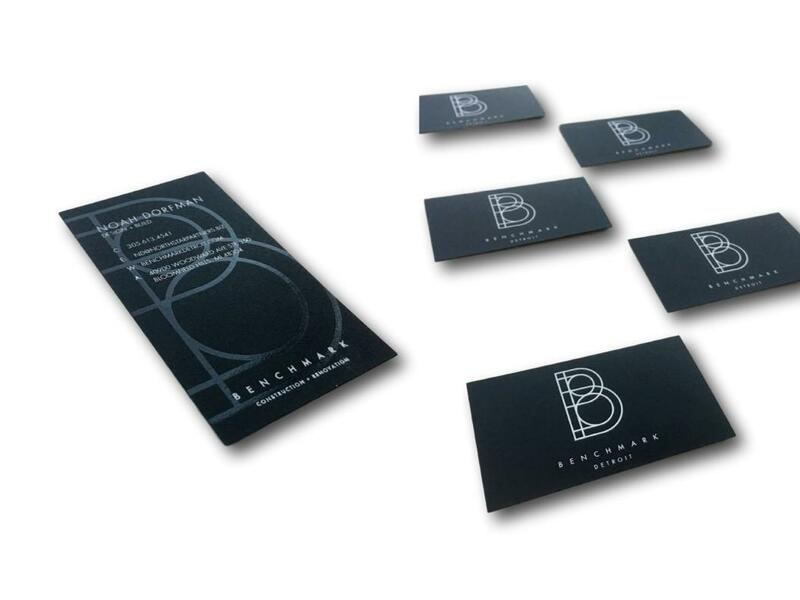 Benchmark serves high-end clients who have a keen sense of design style; therefore, Benchmark wanted to make a stellar first impression with their business cards. The cards reflect the company’s high standards, printed on a matte black card stock and treated with a subtle black gloss that highlights the logo. The design is classic and simple, but it makes a big impact. 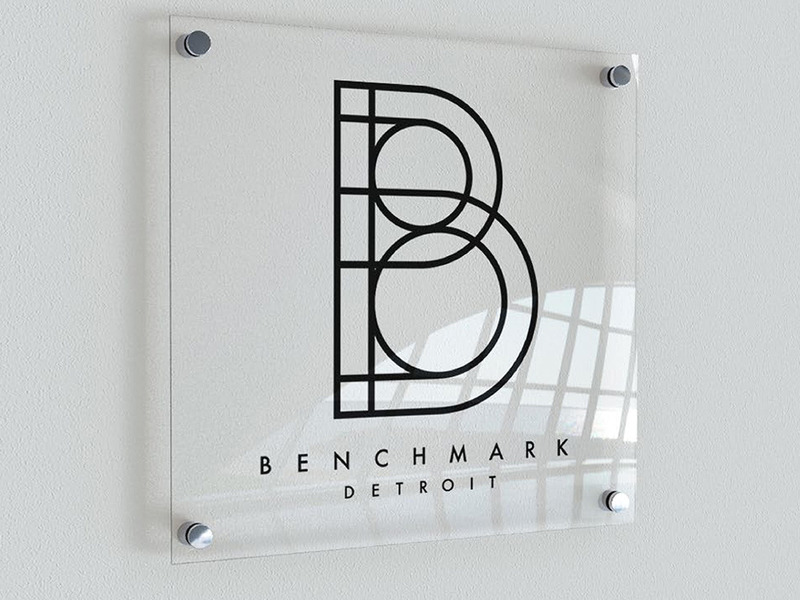 We created interior signage that hangs at the Benchmark Detroit offices. We kept the look and feel cohesive with all other elements of the brand. Signs were printed on lucite to complement the sleek, modern feel. 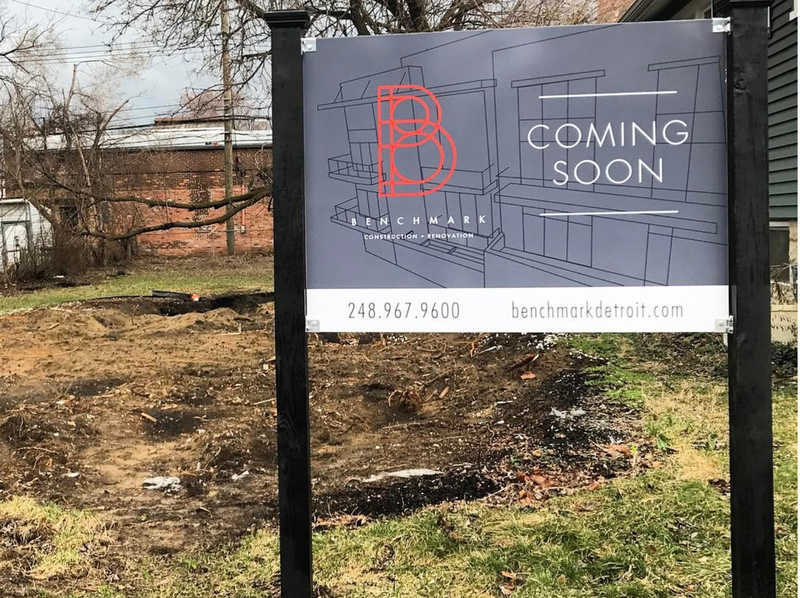 Exterior signage is important to the nature of the Benchmark Detroit business, particularly when they are starting new construction or selling properties. Each sign serves as a marketing opportunity for the business. The client wanted to keep with the established look and feel of the brand, so we pulled in more of the blueprint feel behind the text. The logo we created translated well to many applications, and vehicle wrap design was no exception. We reworked the stacked logo into a horizontal version that displayed nicely on the owner’s work truck and other vehicles. We also helped to produce all wraps, which includes getting production quotes, selecting a printer and coordinating installation.